Vince McMahon, in a Santa Claus costume, recently announced that John Cena would be returning to WWE again, on this week's edition of RAW. John Cena made his much-awaited WWE return at Madison Square Garden. He came out to challenge Baron Corbin and was introduced by Vince McMahon himself. The crowd exploded when Cena made his return to WWE. As one would expect, he defeated Baron Corbin. John Cena has become a part-time WWE superstar, after carrying the company on his back for very many years. This is because his Hollywood career has taken off, and he's achieved much success on the silver screen. Not long ago, John Cena passed the torch to Roman Reigns after taking him on in a singles match. Unfortunately, Reigns had to step down from his position, owing to the fact that he's currently battling leukemia. It remains to be seen who Cena will feud with next. It is well known that Braun Strowman is injured and not cleared to compete. Baron Corbin was scheduled to take him on, and because 'The Monster Among Men' did not show up, he won the match by forfeit. And then, Vince McMahon restarted the match and named John Cena has the man who's had more Madison Square Garden moments than other legendary WWE superstars. Cena strode to the ring to a massive pop and made short work of Baron Corbin. 'The Greatest of All Time', as described by Vince McMahon, had finally made his return. We know that John Cena will make his return to WWE television next week, and be a part of both brands. We also know that he won't participate in the Royal Rumble pay-per-view. One wonders what programs he'll work until then. 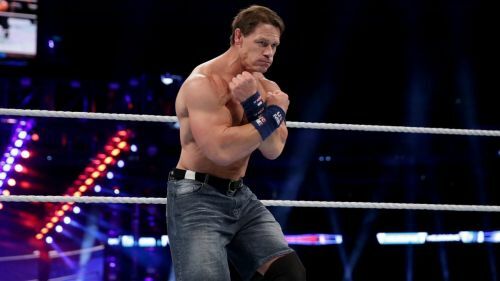 Who should John Cena feud with next? Let us know in the comments below.